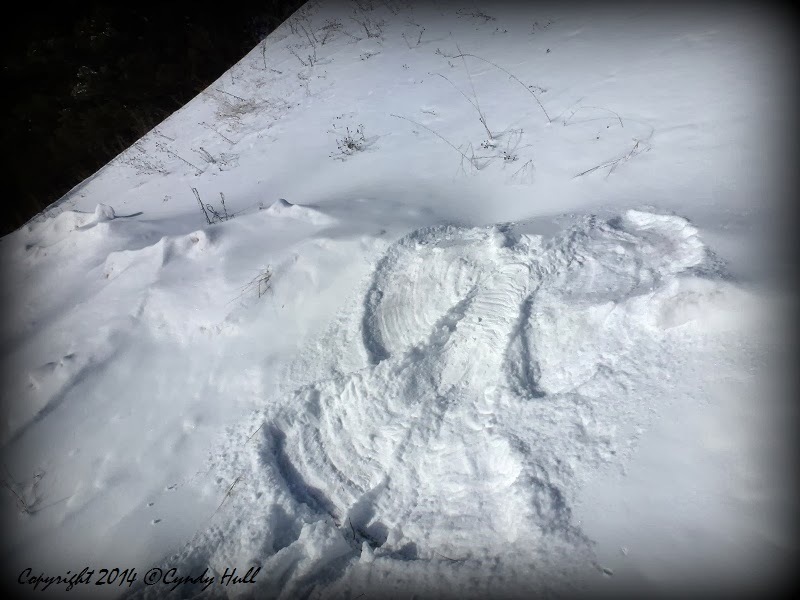 A reminder from my big sister #3: Before giving in to the snow angel urge, make sure a willing and able helper is on hand to pull you up. Key item in this equation is “willing“, which may preclude siblings rumored to have been dropped on their head in early childhood. Even if rumours are unfounded, some may think it great fun to watch and laugh as you ungracefully flounder your way out of the siren snow. It's the edge of the hill against pine trees blurred as the dark background.